Fupont Press brake punch and die tools Inc. can supply high-quality press brake tooling to fit all machines, Standard and European mould, in lengths up to 24 feet. 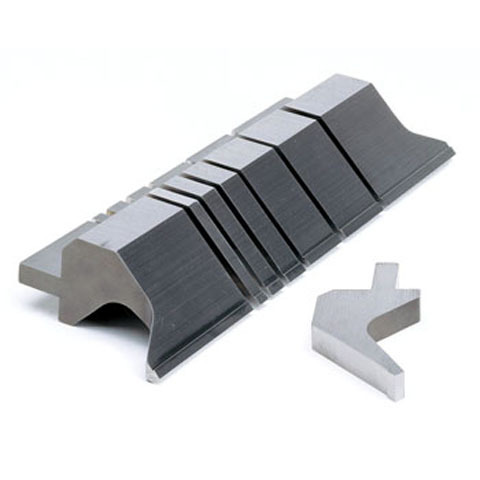 Whether you are bending 6 meter, 1/2-inch or even larger, most parts can be formed using our "standard" punches and dies for for Amada,Tokyo,Komats,LVD,Beyeler etc. Submit a part drawing, and we can recommend press brake tooling for your application. If the standard press brake tooling will not work for you, we can make modifications, design custom punches and dies to meet your needs, or build to your specifications.